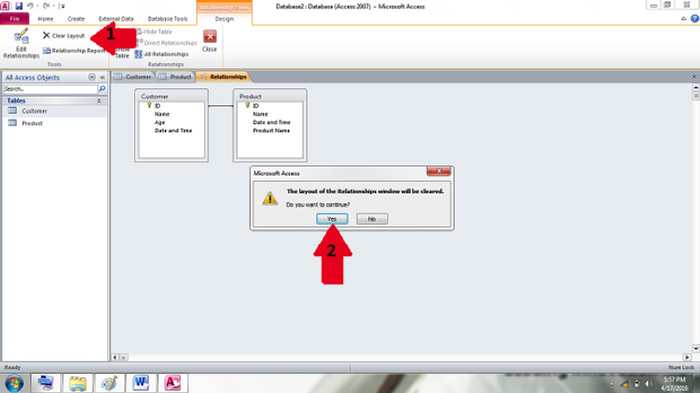 In Microsoft Access, to normalize your table design means to take any items in your database table that are duplicated and move the duplicated items in a new table to create a relationship between the original table and the new table. For a layperson, normalizing may mean turning a complicated item into a regular or normal one. 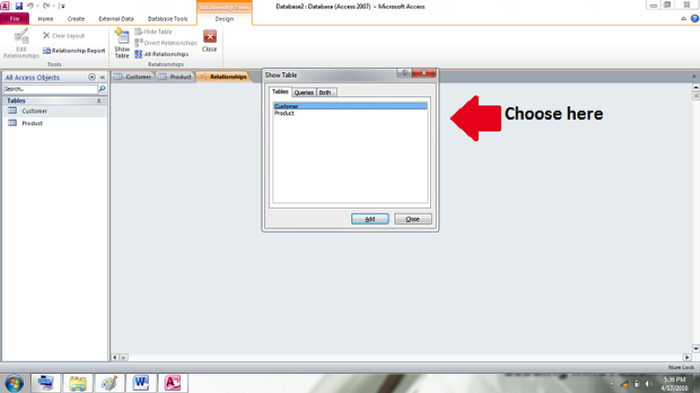 However in Microsoft Access, normalization is the process of effectively organizing data in your database. The main objective of normalization is to remove all redundant items in a single data. That way, it will lessen duplication and your data will be more reliable. It is said that your data is redundant if you stored the same data in one and the same table. Normalizing data will save you time in sorting out same data and it will make your data more trustworthy. 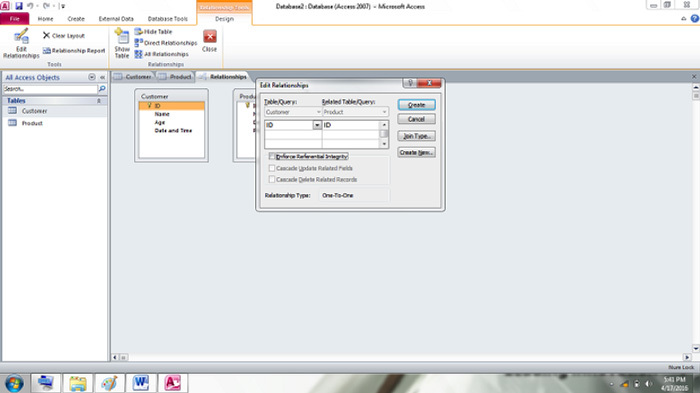 The database shows two tables, “Customer” and “Products”. 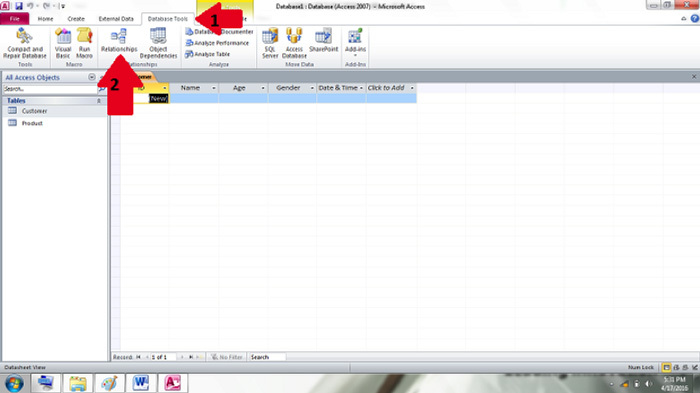 Both contain I.D field, Name field, and a Date and Time field. To avoid redundancy, they should be combined through normalizing. 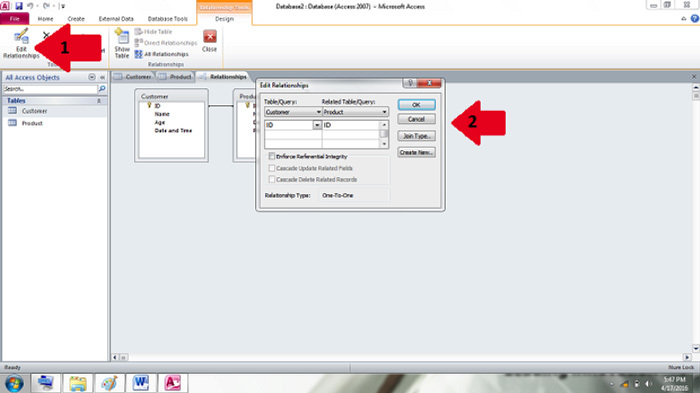 In Microsoft Access, you can normalize your tables by creating a relationship between them. One of the great things in Microsoft Access is its ability to maintain relationships between different tables. 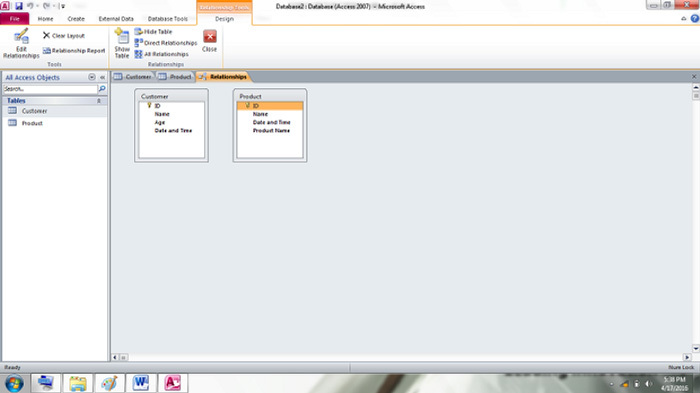 It makes it possible to correlate data and to ensure its consistency of each data in every table. 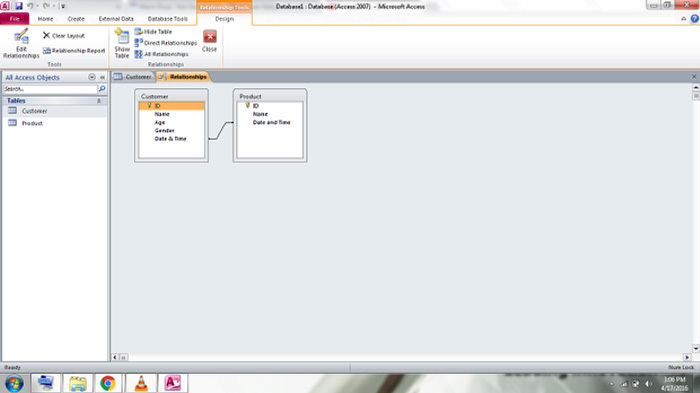 Relationships are made by matching your data in key fields which are usually fields with the same name in both tables. 2. Many-to-Many relationship: A type of relationship in which a row in table A can have many similar rows in table B, and vice versa. The user wishes to store information that applies only to a subset of main table. Step 2. 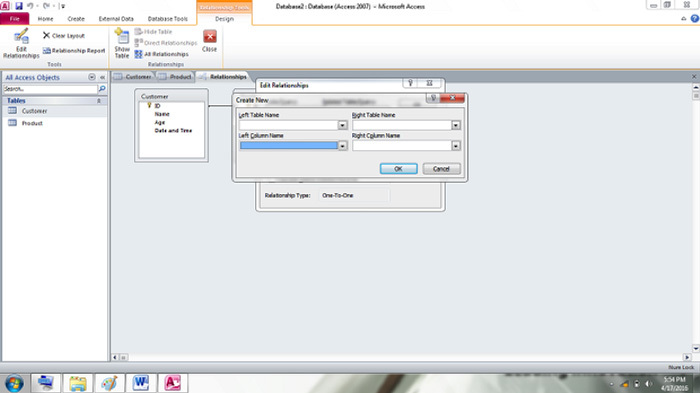 Microsoft Access will then lead you to a new window named “Show Table”. Inside the window are the tables and their respective fields. Choose and add the tables you wish to make a relationship with. Step 5. 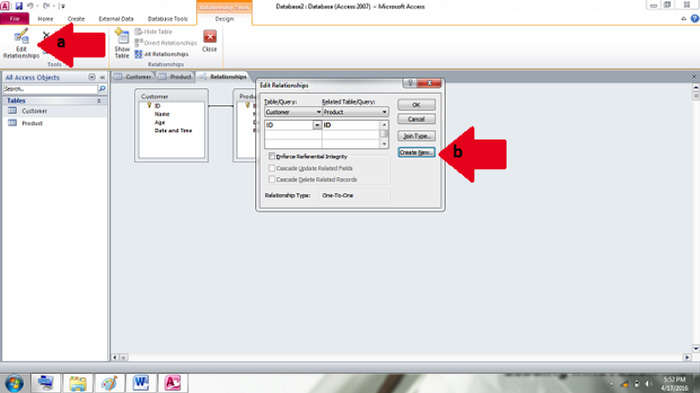 Once you click “Create”, a line will form to show the relationship between the two tables. Step 1. Click “Edit Relationship” located at the upper left side of your screen. 1. Click “Edit Relationship” located at the upper left side of your screen. Your relationship between tables is now deleted.